In need of a Mini Split System? Then Carl’s Quality Cooling & Heating LLC is the company for you. We have install many systems in different applications. We have done tiny homes wit two and three wall units. We have done single room additions in both new construction and remodel projects. Could a mini split system might be right for you? 30% more efficient than a ducted system. Better Control of temperatures in individual rooms. Flexibility with increased placement options. Are you building a garage apartment, sunroom or bonus room? Are you wanting to add Air Conditioning to your house with no ducting? We have different choices of indoor units depending on the application and your needs. 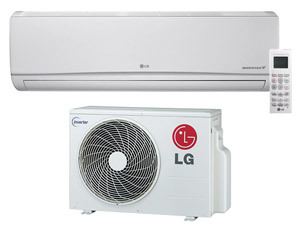 LG’s most energy-efficient line of heat pump duct-free products. Systems are available in 9,000, 12,000, 18,000, and 24,000 Btu/h capacities. Ceiling Mounted units are available in 9,000, 12,000, 18,000, 24,000, 36,000 and 42,000 Btu/h capacities. 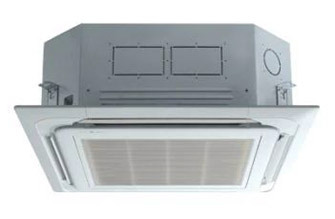 LG Air Conditioning Technologies is a leading player in the global air conditioning market with innovative commercial and residential air conditioners and building management solutions. With a robust lineup of ducted and duct-free products combined with leading-edge controls, LG affords homeowners the flexibility to get the solution that’s perfectly suited for their home. Call Carl’s Quality Today to get a free estimate on an LG mini split system: 936-264-1133.